DBU's library is a designated depository for U.S. Government documents. We have over 60,000 print items in the "Gov Doc" collection, and access to thousands more online. 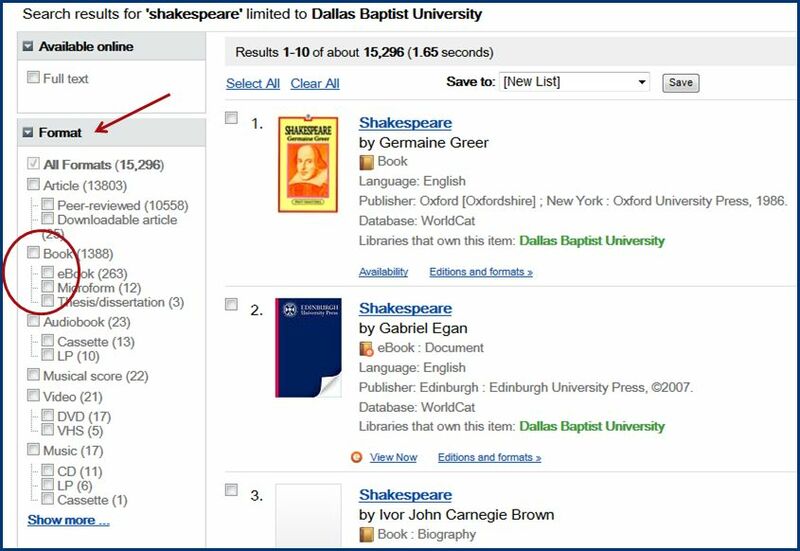 Many eBooks and other long-format documents are available by searching DBU's online catalog. If you're ready to search the DBU Catalog, enter your search terms here. The link will take you directly into the catalog. Use the text-entry box above, or click here. Type in keyword(s), title, or author. To limit your results to eBooks, check the eBooks checkbox under the Format heading in the left toolbar.